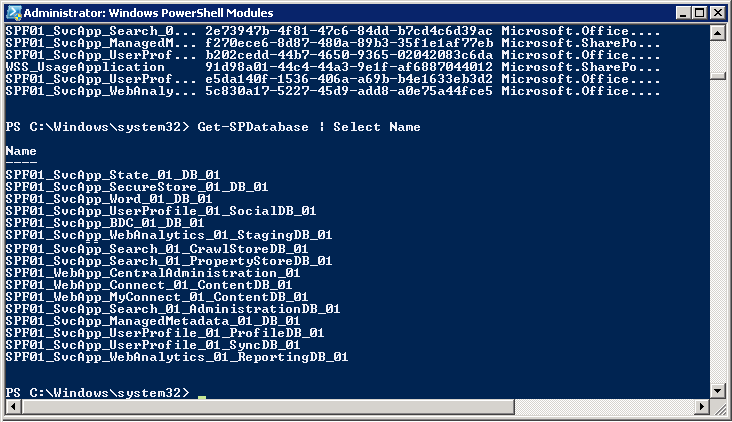 This is just a quick tip about using PowerShell to retrieve a list of SharePoint databases. 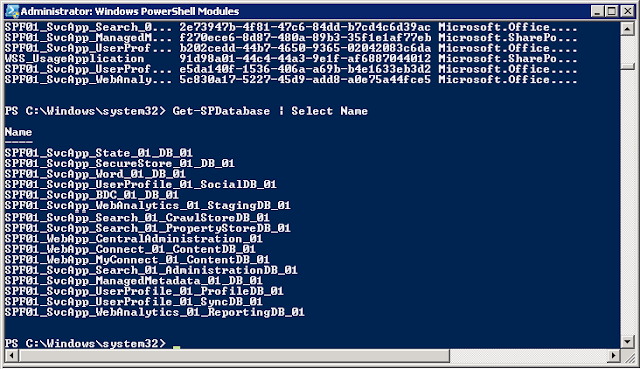 When you run Get-SPDatabase, you are provided the Name, Id, and Type of SharePoint databases. However, by default, the entire name might not be legible. While there are extensive ways to do formatting in PowerShell, some times you just need a quick command to read the database names in entirety. 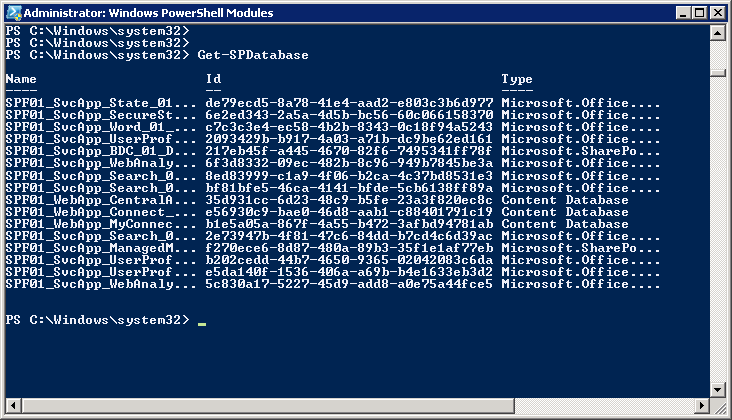 So, if you run Get-SPDatabase | Select Name, only the database name is brought in entirety.